The SMH has a look at an emerging trend in WA to consider floating LNG plants rather than onshore LNG plants - High wages drive LNG projects offshore. The rising cost of building liquefied natural gas plants in Australia, where energy workers earn the highest salaries in the world, is forcing developers out to sea in search of billions of dollars in savings. Exxon Mobil plans to use the world's largest ship to turn gas into liquid at an offshore field, eliminating the need for investment in pipelines and port facilities. Woodside Petroleum is studying sea-based technology since ditching plans this month for an onshore plant for its Browse project off Western Australia. After starting work on $175 billion in LNG terminals on land, developers are considering more than $80 billion in floating projects to keep Australia competitive with suppliers in North America and East Africa. The engineering challenges are massive. 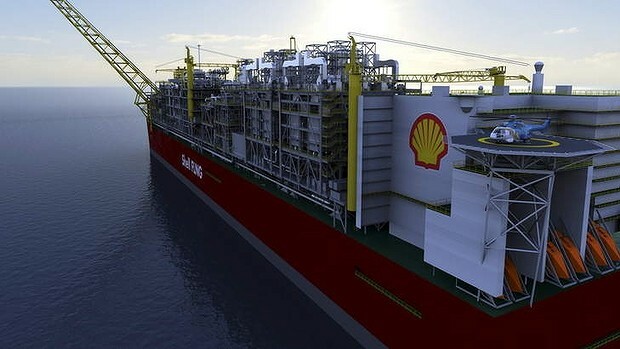 Shell's Prelude vessel, vying to be the first floating LNG facility in the world, will be as long as the Empire State Building and six times the weight of the largest aircraft carrier. Exxon proposes a vessel spanning 495 metres, or seven metres longer than the Shell plant. Australian oil and gas workers earn about $160,000 a year on average, 35 per cent more than employees in the US and almost double the global average, according to a survey this year by recruiting company Hays and Oil and Gas Job Search. Floating LNG may be almost 20 per cent cheaper than building a project on land for Woodside and its partners in the Browse project, including Shell. Using three offshore vessels to produce the gas would cost an estimated $35 billion, compared with a cost of $43 billion for a new development on land, John Hirjee, an analyst for Deutsche Bank, wrote in an April 12 report. That's a cost of $2.92 billion per million metric tonnes of output for a floating LNG project producing 12 million tonnes a year, compared with a $3.58 billion cost for a conventional plant. Of the 90 million tonnes a year of new projects that need to be approved globally in the next three years to satisfy LNG demand by the end of the decade, as much as a third may come from proposed floating LNG plants and expansions of onshore developments in Australia, he said.